Most time great writers go unnoticed because they are usually the lowly homemaker or unemployed uncle who doesn’t hold a college degree. Most of the time, writers are usually undiscovered talent, because they never learned the art of ‘how to submit a query letter’ or ‘how to self publish their works’. I interviewed a few writers over the last few years and most of them have multiple copies of manuscripts that are sitting on their shelves. A great writer is not one that writes for money or for fame, but because they love the art of it. Jane Austen, an English novelist, is one of the most well known writers today. She lived her entire life as part of a close-knit family, educated by her father and learned lots by reading books. She wasn’t discovered when she first started writing, but several years later. She had to have enjoyed the art of writing to continue on with it. A great writer is one who writes, rewrites, and examines every word, every sentence and syllable; never fully appreciating the finished work. She or He is always striving to perfect it in some way or another. They don’t only want words on paper, but harmony -symphony of sounds that the words make as they are uttered out loud. Writers or composers are usually thinking of the next piece of composition in the back of their heads. Breathing in and out until they are able to begin the process all over again. These poetic scribes love creating stories that evoke imagination. They know that there is no limit to what you can do, where you can go, or who you can become in a book. They write stories to inspire, edify, and encourage others in a way, spreading joy around to their readers. 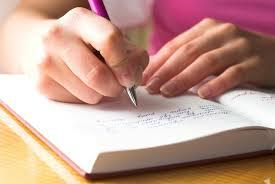 Great writers draft out their literary masterpiece to make the world a better place to live. “Jane Austen” Wikipedia, the free encyclopedia. Web. 8 April 2015. Poem: The Life of a Writer.